After his excellent "Roads Were Not Built for Cars," which I reviewed here a short time ago, Carlton Reid is continuing his story up until the present day as bicycles--once derided as toys then accepted as a symbol of modernity and mainstream only to sink back to toy status--has now launched a Kickstarter campaign to fund his next book, "Bike Boom." Judging from the quality of the first book, the new one will be definitely worth having. 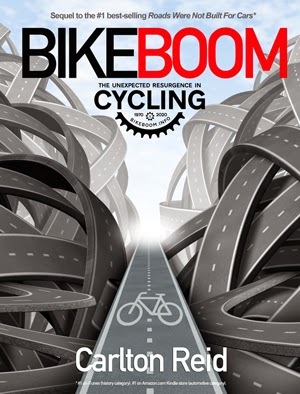 Join track and Tour de France star Chris Boardman and myself in supporting this publication, which will be coming out in April 2016 if all goes well! As of today he has found 151 backers and reached 86% of his funding goal but I am sure more money would always be welcome for a project like this!